The trouble with Machines Like Me is that for however eloquent and incisive Ian McEwan’s ruminations on artificial intelligence and its relationship to human beings are, there’s a prevailing sense that this cautionary tale has been told before, and more dynamically. All the questions the narrative poses — What makes us human? Could a machine ever understand the human heart? — have been asked before, and answered. McEwan plunges headfirst into the ethical conundrums of machines masquerading as men and women, but the result is more pedestrian than prescient. Its premise beguiles — an alternate 1982, in which the British are about to lose the Falklands War, Thatcher is Prime Minister, and the work of Alan Turing, still alive, whose research has helped enable the first line of androids, almost indistinguishable from humans, to walk the Earth among us — but its rarely plundered for the prosperity it deserves. The human protagonists are interesting, so too their conundrum, even though its familiar: Charlie Friend, an unfocused 32-year-old, inherits enough money to buy one of the expensive machines, but not the “Eve” model he wants, so he settles for an “Adam.” Charlie and the younger woman living above him input Adam’s “personality parameters,” thus calcifying their friendship, and nudging it into romantic territory: Adam is their shared project, and soon, an interloper in their relationship, who informs Charlie that Miranda should not be trusted because of something from her past. Machines Like Me delves into morality and ethics, not just of machine thinking, but of people’s decisions and their consequences. It is not a bad novel by any stretch, just bland, and overly familiar, for a reader like me, who frequently delves into science fiction. 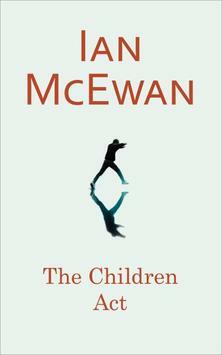 For more literary readers, perhaps less familiar with the genre, and therefore unexposed to this conventional territory, I imagine McEwan’s latest will be rather stimulating and provocative. Thanks to Penguin Random House Australia for the advanced reading copy. The premise of THE CHILDREN ACT, a High Court judge faced with the case of a teenage boy who has refused medical treatment on religious grounds, seems like such fertile ground for an author of Ian McEwan’s indubitable talent. But its pedestrian delineation of events limits its overall appeal. The novella reads more like a summation of events rather than a narrative experience. As thought-proving as its core ideas are, its execution is bizarrely impotent. Ensnared by its potential, and enchanted by glimpses of delightful prose, THE CHILDREN ACT simply lacks the panache one expects from the author of ON CHESIL BEACH. High Court Judge Fiona Maye’s problems aren’t limited to her professional life. Climbing the legal ladder has decimated her marriage, leaving her husband pondering the notion of an affair. Such is the deplorable state of their relationship; he even has the gall to announce his intended tryst before it’s even begun, in the hopes of eliciting a passionate response from his wife. Theirs is a relationship that has grown stale; the embers have cooled over time, and without children or a meaningful foundation on which to solidify the crumbling remains of their union, the writing appears to be on the wall. But this secondary plotline unfolds mundanely, and occasionally feels like padding on what might’ve been a powerful short story. McEwan’s prose is crisp, as always; there’s just no spark here. The characters are bland, punctuated by fleeting moments of inspiration, secluded to moments involving matters of the law. THE CHILDREN ACT is perplexing; brimming with unrealised potential, laboured, but engrossing nonetheless.